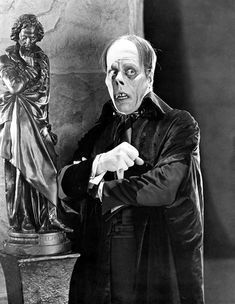 An Actor's Legacy: Remembering Lon Chaney, Phantom in "The Phantom of the Opera" and Quasimodo in "The Hunchback of Notre Dame"
What do actors want to be remembered for? In one way or another, we are all actors. We perform roles in our daily lives to fulfill certain job descriptions, friendships, relationships, or public statuses. But there are some strange humans, myself included, who want to act for a living. Why would anyone want to do such a thing? There’s fame of course, but for me that’s only a small part of it. The deeper truth is that I want to be remembered as a great actor. But when I say that, what do I mean? What is it that we professional actors want to be remembered for? I have friends who want to be like one of the universally recognized great actors — a Dean, a Brando, or a Deniro. I've even met some actors want to be remembered as heartthrobs, like Brad Pitt, or suave leading men, like George Clooney. Those actors were and are undoubtedly great, but I find myself dreaming of the legacy of a different kind of actor. For Lon Chaney, the craft of acting, the original interpretation of a character and the commitment to bringing it to life, was at the core of the profession. More than anything else, I want to be remembered like Chaney is remembered - for sacrificing everything to bring my characters to life. His reputation has withstood the test of 100 years. There wasn't a role, no matter how dark or grotesque, he wouldn't throw himself into to the point of bodily injury. This is an elegy to one of the lesser-known greats: Mr. Lon Chaney, Sr.
"My whole career has been devoted to keeping people from knowing me." – Lon Chaney, Sr. The life of an actor is not always easy — it is one of endurance, hardship, long days and nights, financial instability, and self-doubt. It is a great sacrifice, but where there is sacrifice, there is great gain, as well: It is also a life of continual exploration, self-discovery, successes out of failures, real human connection, and, most importantly, play. We actors address issues, create characters ex nihilo, and live in that new and unknown skin, creating art for and of “the times.” It is both a selfish and self-less job. Chaney understood this and set the standard for the rest of us to follow almost a century later. Chaney’s acting career began on the stage in 1902 and later shifted to silent films. It’s unknown for certain just how many films he appeared in (back in 1910 IMDB wasn’t quite what it is today), but the number is said to be north of 150. It wasn’t until 1919 that he played a leading role, in The Miracle Man. In the film, he bound his legs together to play a crippled swindler. Watching him crawl up to the blind healer is breathtaking because no one had ever done what Lon was doing. The control he had over his body reminds me much of the methods of Moshe Feldenkrais, who once said, “What I’m after isn’t flexible bodies, but flexible brains… what I’m after is to restore people to their human dignity.” Unfortunately, due to age and lack of proper preservation, the film has been lost other than a few short minutes. His status as a leading man only lasted for eleven years before he passed in 1930, but in his brief life as an actor, he created some of the most iconic and complicated characters known today. While few would recognize a picture of Chaney himself, many would instantly recognize his characters. 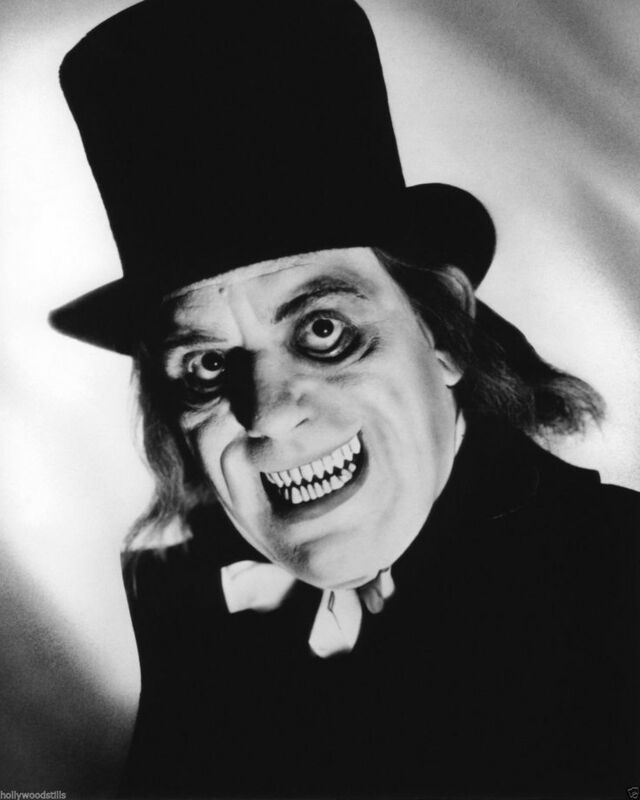 He is the man behind The Phantom in The Phantom of the Opera, Quasimodo in The Hunchback of Notre Dame and The Hypnotist (Burke) in London After Midnight. An actor must understand the mind and topography of a character alien to their everyday “job;” they must be willing to cross a threshold of comfortability and go beyond what they are used to playing. Chaney clearly had no qualms with playing anything. He “made it okay” to be the bad guy — to be the monster — to be the disfigured man — and by doing so, he changed not only his own career, but the field of screen acting. One of the marks of a top class actor today is the ability to convincingly portray both protagonist and antagonist. Chaney put his whole self into birthing these characters. Because of his constant seeking of “the light” in playing and creating such dark characters, I believe he shaped a standard for future actors. Chaney was more than just a spook-tacular creep-o. Even in his disturbing roles, he brought such humanity to his portrayal and embodiment of a character, truly making it his own. Actors must take themselves to dark places, known as “the fertile void” in Gestalt Psychology, in order to bring forth the light. Part of Chaney’s elaborate masking successes came from his own talents in makeup artistry. There was a reason for his nickname, “The Man of a Thousand Faces.” He went to such extreme lengths with his characters that he sometimes physically injured himself (and some of those injuries he would have to live with for the rest of his life). Playing The Phantom, for example, his nose was pulled upwards, digging repeatedly into his head. He famously suffered lifelong back and knee injuries due to overuse of a self-made harness he wore to play underworld crime boss The Blizzard in Wallace Worsley's The Penalty. Nowadays, even character actors like Paul Giamatti, Andy Serkis, and Michael Shannon are paid millions of dollars. Until his famous creatures made their debuts, Chaney was seen more as a supporting actor and paid less than $100 a week for his backbreaking dedication. But that never deterred him — he consistently created original characters and indelible images through personal expression, exploration and physical sacrifice, regardless of how much he was compensated. I'm not suggesting money isn't important — we all know we can't live if we can't eat, pay our rent, etc. But performance comes from the heart, the mind, and the spirit; in this context, money is largely just a distraction that needs to be (and can be, through discipline) placed on the back burner. Getting paid a large sum or a small sum is irrelevant; Chaney made do and carried on with his passion, which is just one more reason his legacy has endured. “Awareness Through Movement," a Feldenkrais principle, teaches you the secrets to reducing unnecessary muscular effort and improve your awareness of your whole self in action. It is in part why I believe Chaney accomplished so much on a sophisticated level before anyone else. Because of his awareness of self and of his physical movements, he was able to speak to vast audiences, but most importantly, to his parents, both of whom were deaf. Lon Chaney took care of them — especially when his mother became very, very sick. If there is such a thing as seeking light amidst grave darkness, then I believe we found it. Perhaps this is part of the reason he was gorgeous in his expressive silence on film. 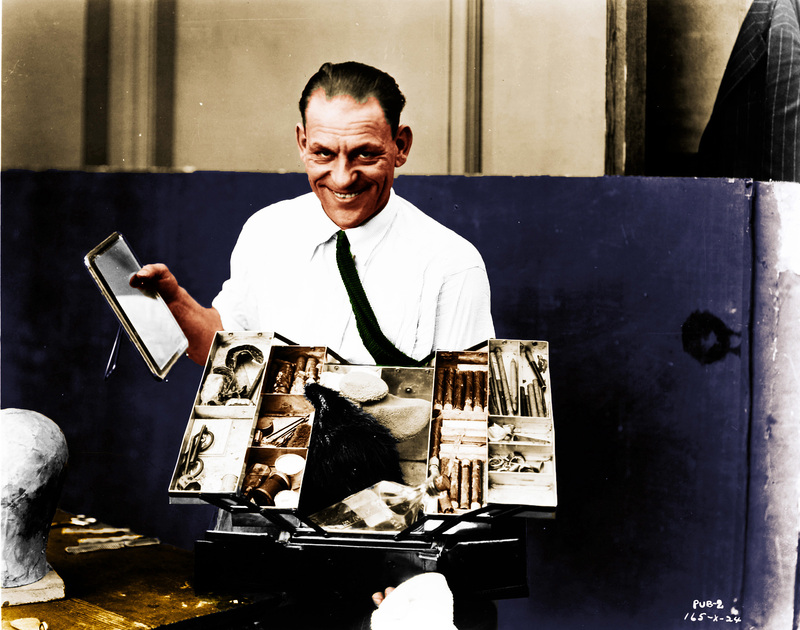 “Between pictures, there is no Lon Chaney.” – Lon Chaney, Sr.
Chaney famously refused to change over to talkie pictures. The rumor is because he had bad voice, but it was actually because of his parents. Since they were deaf, he felt it would be harder to tell them the story. His growth and passion for acting came from this desire to communicate to his parents who couldn’t otherwise “hear” him, and that is as beautiful a reason as any to dedicate one’s life to the art of acting. Chaney gave his life to the craft. It was a way to connect with his parents (and his son), and to bring light to misunderstood, dark characters. He didn’t do it for the money, even when he deserved higher pay. He kept his focus at all times on the work, dedicating himself to exploring character in every capacity he was able to endure, regardless of the personal/physical consequences. He is an inspiration because his willingness to push himself to the limits of truthfulness allowed us to see deeper into our own humanity, to see something quite the opposite of the suave leading man. The high bar Chaney set for actors and the world of cinema is his lasting legacy. His dedication shines through the silence of his pictures and continues to be an inspiration to actors of all ages and types.